For a long time, traditional asset management has been provided almost exclusively by established banks and investment firms that set high barriers to entry for common people, limiting access to high-net-worth individuals. However, the democratisation of information required to develop a successful investment strategy, enabled by the internet, has led to a growing number of independent traders as well as a new wave of investors, who are eager for opportunities, but don’t have the time or knowledge to study the market and trade themselves. This has eliminated the barriers to entry that previously made asset management the preserve of the wealthy and privileged, and empowered a generation of fintech startups to disrupt the traditional asset management industry with a savvy, digital approach. ZuluTrade, founded in 2007, has bridged the gap by creating an online and mobile platform that brings the two groups together. Traders claiming to have a good strategy join to prove themselves and multiply their returns, while novice users can easily find traders that match their appetite to follow and learn from by copying their trades. “Many users ask us questions like, ‘Is it true so many people make money trading bitcoin?’ and ‘How can I get involved?’” says George Ilias, formerly chief technology officer and recently appointed ZuluTrade Group chief executive. 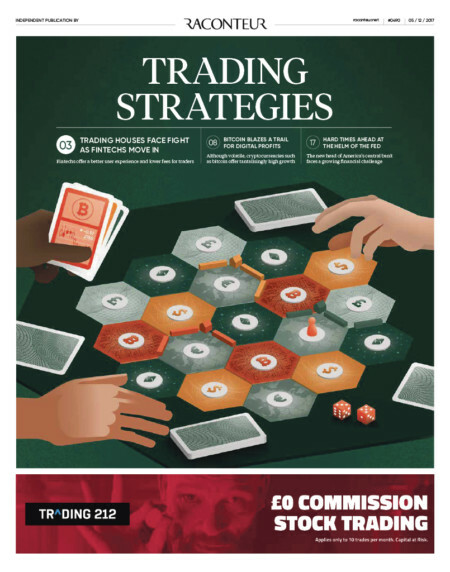 “This captures the exact need we are trying to cover, bringing traders with proven strategies and newbies together to engage and learn, while warning them to avoid the common mis-steps and maximise their chances of profiting. The idea for ZuluTrade came about when entrepreneur Leon Yohai wanted to copy some foreign exchange traders who claimed to be profitable. The only way to do this, without handing over his account, was by emailing the transactions and then executing them manually. But Mr Yohai realised the delays through this process could cause diversion of strategy and the performance history of the traders was difficult to verify. Meanwhile, social networks such as Facebook and LinkedIn were in their early stages of development and about to take off in a massive way. Mr Yohai recognised the potential of this model to both bypass intermediaries and make copying traders an easier and more transparent process. ZuluTrade was born, though it wasn’t straightforward. “Brokers did not have mature systems or APIs [application programming interfaces], so the first challenge was to implement systems that would allow users to copy trading strategies on different platforms all around the world with minimum delay and no manual intervention,” says Mr Ilias. “In such a greenfield domain, a variety of problems inevitably emerged, so we needed to figure out how to automatically mitigate cases such as requotes, slippage and scalpers. An embrace of new technology is key to successful trading strategies. Artificial intelligence (AI) software that takes on roles previously undertaken by humans is set to become increasingly important. However, AI cannot be effectively utilised unless relevant data is both available in abundance and structured in the correct way. 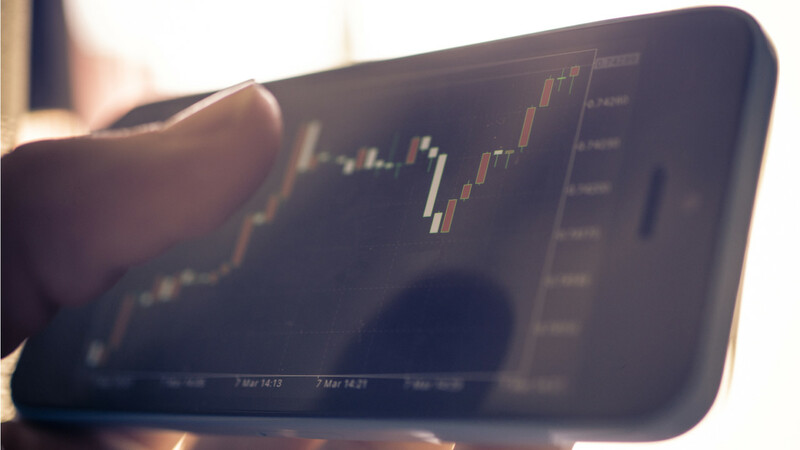 At the heart of ZuluTrade’s offering is a meticulous dedication to collecting trading data from the 1.5 million registered users on its platform, as well as committing considerable research and development to creating software that predicts risk patterns. By doing so, it can help its users make informed decisions by advising what traders to avoid, when to exit a strategy, and what return on investment and risk ratio to expect. As a social network for traders, ZuluTrade not only provides value to novices and experienced traders, who can ask each other questions, discuss news, and share strategies and results, but also institutions. Brokers can offer ZuluTrade’s solutions to their own users to earn higher customer engagement and user retention. Rather than being weighed down by legacy infrastructure, time-worn clunky systems, and a culture and structure befitting of the old world of asset management, fintech startups have the agility and nimbleness to innovate quickly. 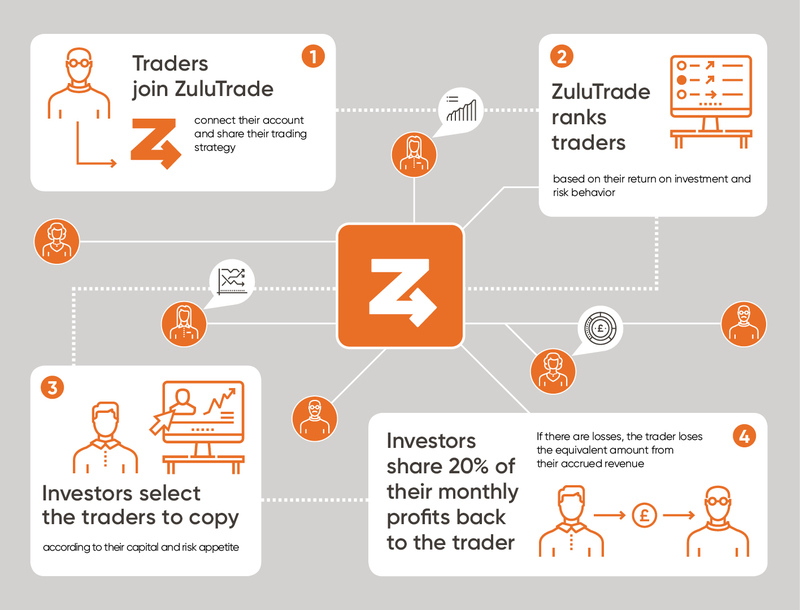 ZuluTrade is the world’s largest open ecosystem, accepting traders from more than 50 brokerage firms worldwide. It is currently expanding the list of institutions connected in the network and is offering its technology as a business-to-business service. The company, whose platform is regulated in Europe, has been quietly preparing big changes to its offering in the last few years, launching a profit-sharing scheme and adding support for more trading instruments, including thousands of stocks, as well as bitcoin and other cryptocurrencies. Recently acquired by Formax Group, ZuluTrade will utilise the Chinese firm’s well-established network in Asia to penetrate Asian markets. Already licensed in Japan, ZuluTrade is launching a Japanese version of its service as a joint venture with strategic partners in 2018. ZuluTrade’s most recent launch is a new, innovative and fair way to increase alignment between traders and followers. When an investor profits by following a strategy, the strategy owner gets 20 per cent of the monthly earnings. When a strategy causes losses, those losses will also be reflected on the trader’s accrued revenue. Please note that trading involves high risk and is not suitable for everyone.